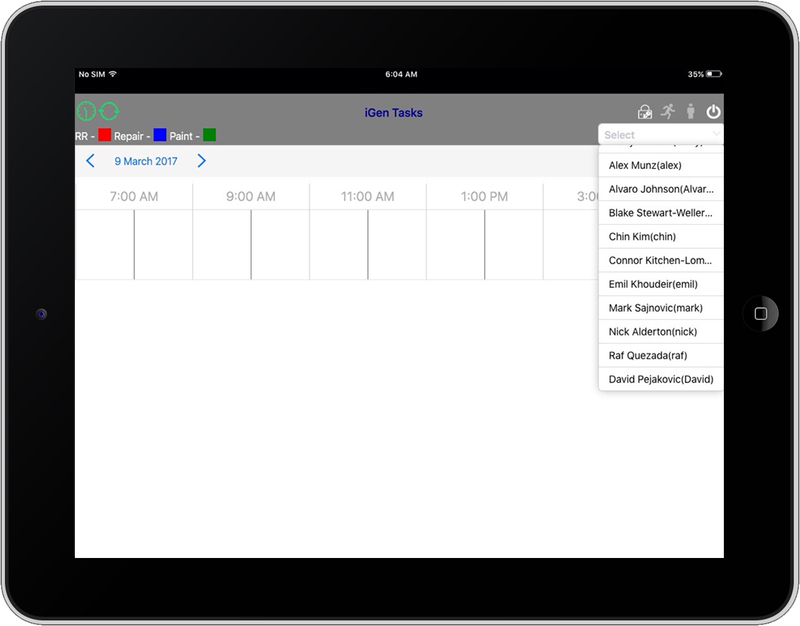 Managing your task has never been easy, with our mobile app for you to have a handy update for the job scheduled. You can assign the jobs in the shops to employees, using a mobile device. Login with your iGen user credentials and you can manage the other workers job. Repair, Paint and R&R have been the work assignment to the workers. You can also manage them from login. Colour coding will distinguish the job assigned. 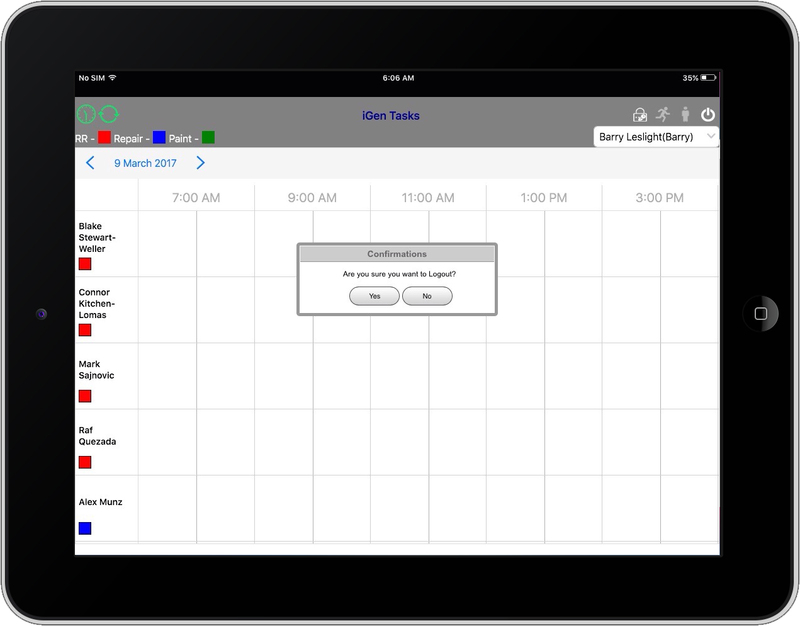 With this you will have an effecting Job Scheduling. 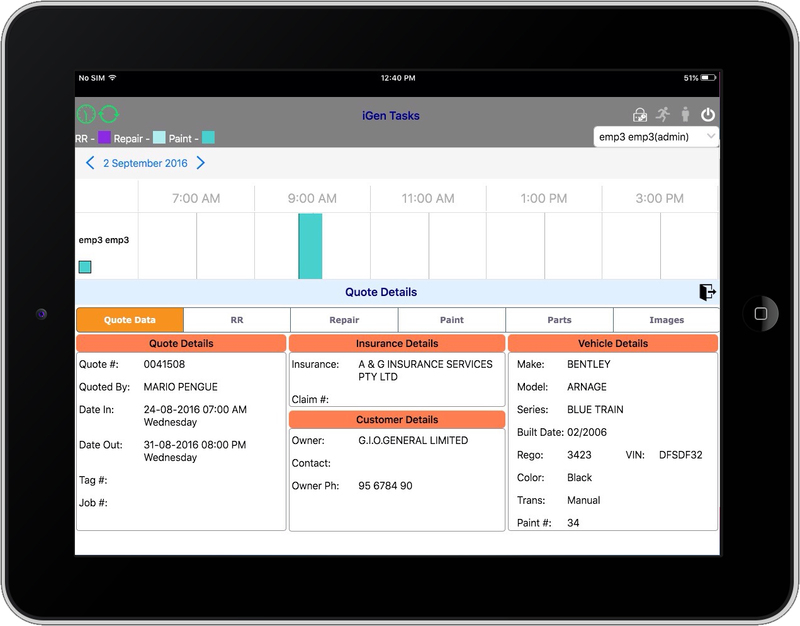 Repairer can track the current day jobs, click on the scheduled jobs, repairer can view the current tasks with the start and end time. On clicking the open tasks, the repairer can view all the details about the jobs along with the images. You can start and complete the job from the job screen. As an administrator, you can view all the employees’ jobs at once. However a single user will be able to modify the jobs assigned for him and view other jobs status. Jobs once done working can be marked as completed.